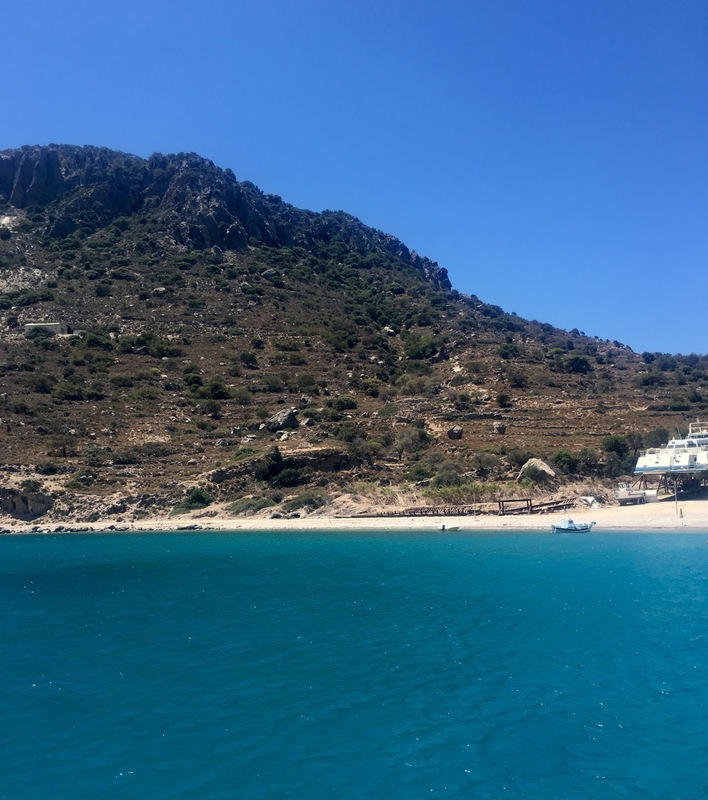 It was my first time to visit Greece and I loved it even more than I could have imagined! Kos is a beautiful island, nice and small and very easy to get around. We stayed in the Sensimar Oceanis Beach & Spa resort, located a short 15 minute drive from Kos town itself. 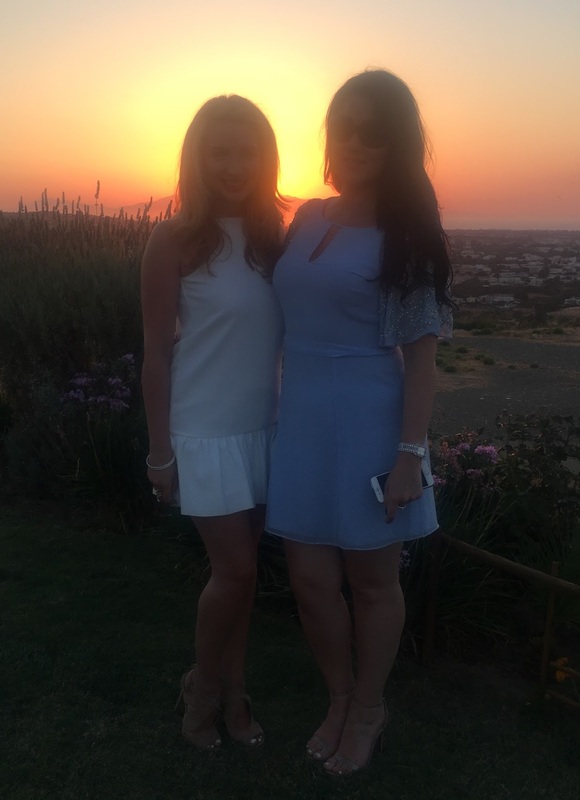 The resort was stunning, one of the most beautiful I have stayed in, with wonderful staff who went above and beyond to make our holiday even more memorable! Located on its own private beach, the resort is adults only and we went with the all-inclusive option. The food was incredible, with something catering for all tastes. I’m seriously missing the delicious buffet meals this week! 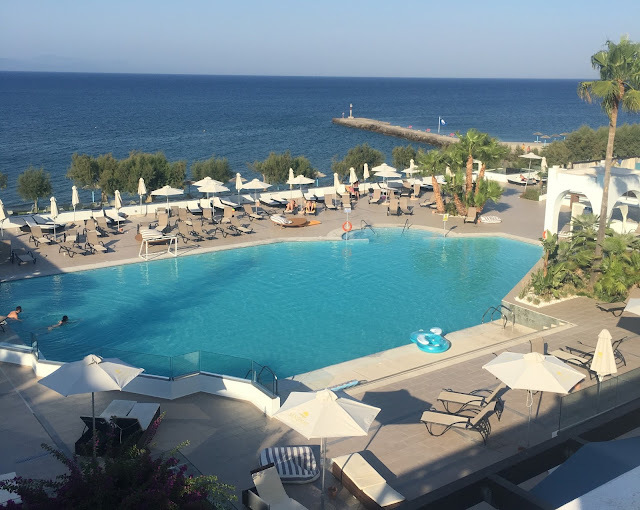 With a beautiful spa, two pools to relax by, a jam packed schedule of activities during day and entertainment at night, we couldn’t have asked for anything more and thoroughly enjoyed every minute of our stay at the Oceanis resort. We ventured out for dinner on two evenings. The first was to celebrate my fabulous friend Aoife’s 30th birthday. We went to a nearby restaurant, Lofaki, nestled high up in the hills and famed for it’s stunning sunset views. It certainly didn’t disappoint! 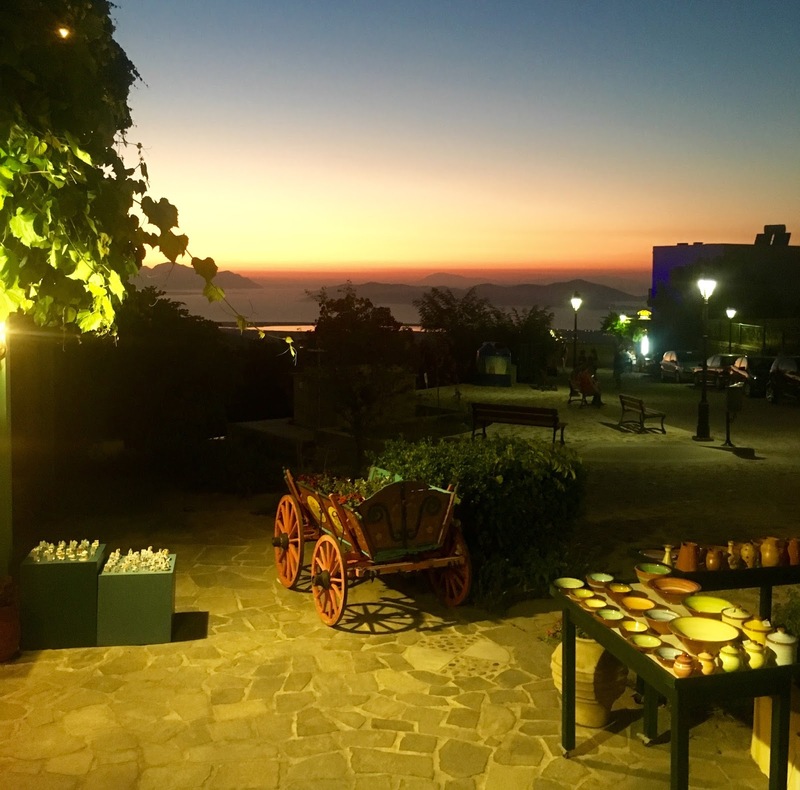 We also took an evening trip to the mountain village of Zia, taking in more stunning scenes and a beautiful sunset over dinner. 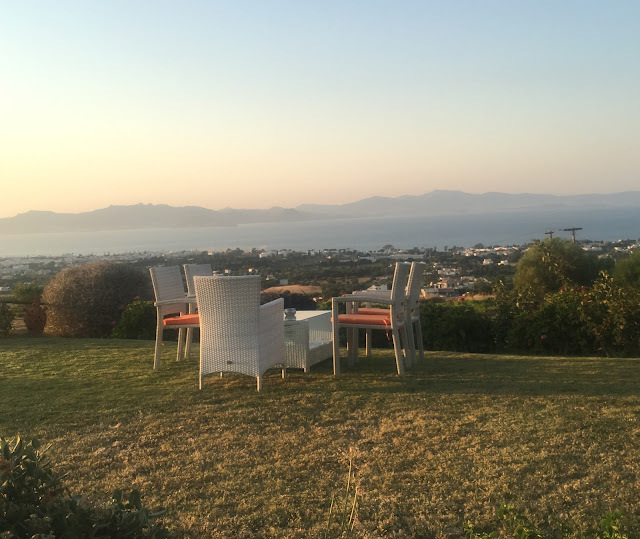 We enjoyed a delicious meal in a restaurant called Oromedon, where the food was every bit as divine as the views! I celebrated my birthday in Kos too and my amazing friend Anthony organised a private boat for the day! I couldn’t think of a better way to spend my birthday and it will definitely be a hard one to top! 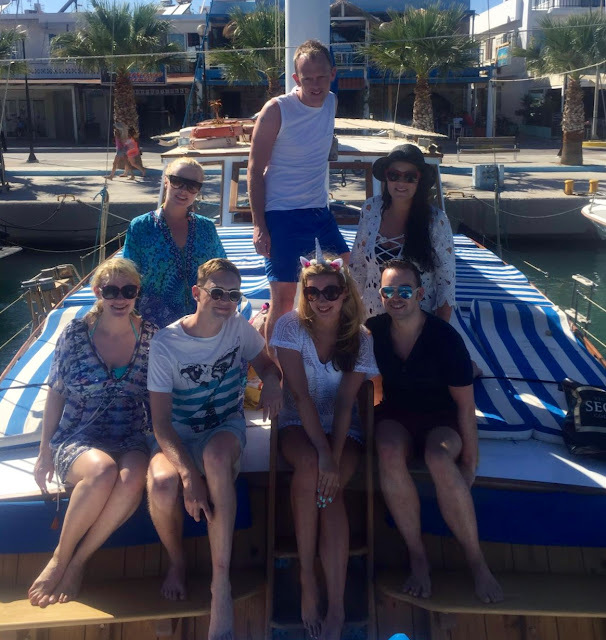 We boarded the Zeus day cruise in the harbour town of Kardamena and we were treated like Kings and Queens for the day by our fabulous hosts Kate and Nick. We toured around three different locations, with time set aside for exploring and swimming. After a yummy barbeque lunch on board, our final destination, Bubble Beach, was one we were all looking forward to. Here we had the opportunity to see the amazing volcanic bubbles beneath the water, rising like thousands of crystals from the sea bed! Towards the end of our trip, we spent a day exploring Kos town taking in the sights and picking up little souvenirs in the markets. For an island so popular with tourists, it was lovely to see that it has retained so much of its own charm and character. Next Post Denim Shirt dress with white jeans….